The UK is abuzz with chat about the latest phenomenon to hit the beauty world, the so-called ‘BB’ or ‘blemish balm’ creams. It’s a type of product already extremely popular in East and Southeast Asia. These have now been adapted to suit the UK market – mostly removing the ingredients that are designed to counteract/brighten ashy skin tones. There are a number of these that have recently been released to the UK market, with more to come. So it you haven’t heard of BB creams yet, then you will very soon. I have tried a couple of these recently and these are my thoughts on the first – from UNE, the natural beauty sister-brand to Bourjois. I was sent three shades, 101, 101 and 111. Bottom line, L-R: 101, all three together. With the UNE version of the BB cream coming in the slick mirrored compact style packaging I didn’t really know what to expect from the texture. I really do like the style of the UNE packaging (I have a face powder from the range in this style and I really love it) but this is a compact where most of the BB creams I have come across are in tubes with a liquid formula, rather than a solid compact. When I swatched it it felt a lot lighter than I expected, very smooth and silky. It feels like it almost melts into the skin and blends really naturally. 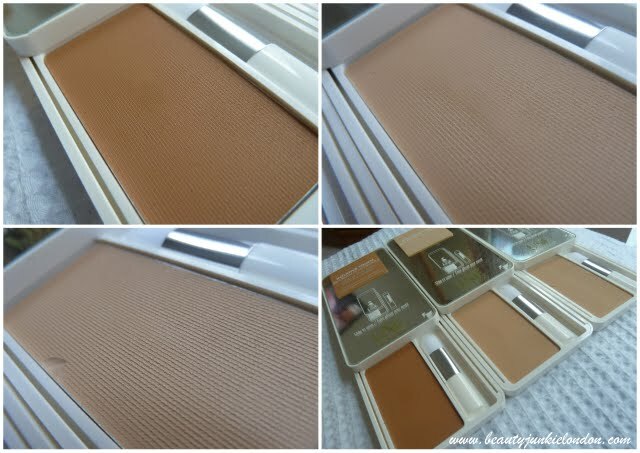 The swatches above are of each of the cream shades swatched fairly heavily using the small brush that comes with the compact. About the brush, it really isn’t any good for all over application at all – it’s just too small. But it could be used for more concentrated application on areas like the under-eyes or blemishes. I did do a FOTD with this but I’m currently a bit in-between these shades so it didn’t really work – plus, because of holiday my face is covered in freckles which does make it hard to get a good match. Overall, this is a light coverage BB cream/foundation, if you like a natural finish and don’t have significant dark circles or blemishes to cover up then this is lovely. It leaves skin with a really natural finish, like you’re not wearing anything, yet it magically evens skin out. It photographs well, with minimal flash back, still keeping a naturally even look. I feel like this is better for on the go touch-ups rather than the full face of make-up at the beginning of the day, especially thanks to the packaging design. I know it’s supposed to adapt to the UK market by being un-ashy. And although the ashiness was one of the reasons i stopped using BB creams. BB creams in the UK seem a bit yellow. and i wish there was a compromise-a mixture of both. I’m glad Une did a compact though, reminds me of etude house and lotree counterparts! Thanks for the review. So far, I’ve only tried Missha’s BB creams. I have bought the 108 shade and i have fair skin for an asian and just started using it and so far it is a good product in my opinion. It keeps my skin feeling light and almost klike im just wearing a mosituriswer but also gives some coverage but i recommend putting a foundation powder on top if you need more coverage like I do.